With all my university load lately I haven't had time to sit down and properly do my nails. I have several fun designs in mind, but alas they will have to wait until things calm down. 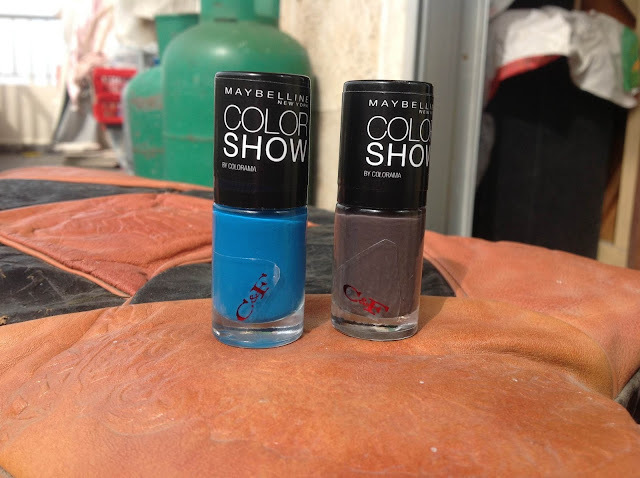 Last week I passed by C&F with my friend Hera, I wasn't supposed to get anything from there but I ended up buying two polishes from the new Maybelline Color Show line which I'd read lot's of positive things about. 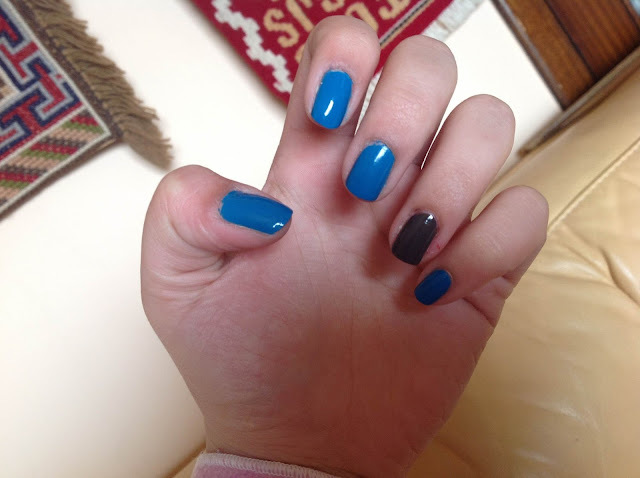 I picked up these two colors, a retro blue called "Superpower blue" and a pretty taupe called "Midnight Taupe". These are Ah-MAY-ZING. Seriously, I don't know why they weren't part of my life before. They're super opaque (well the blue is, but the taupe needs a second coat to get the right shade), they dry very quickly and they haven't chipped (it's been three days without a top coat!). All this and I haven't told you the best part, they're super affordable for only 4,185 LL ($2.78). The only disappointing thing is that the color selection is not too big, they do have the basic popular colors like red, pink and purple with a dash of random colors like this blue and the taupe.. but I would love to see more colors in the collection. (Note: more colors could be available at other stores, I just happened to only check C&;F in Hamra). It is cheaper in every other place other than C&F. its 4,000LL. I got one in ABC Dbayeh. C&F has some outrageous pricings.